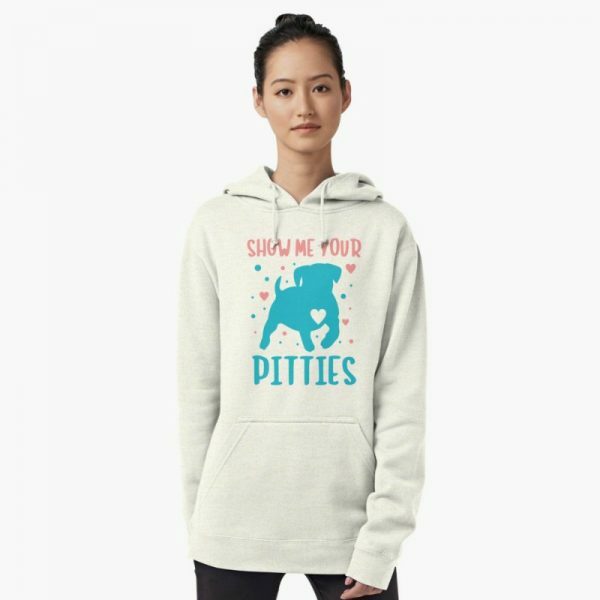 Get ready to show off your pit parent pride with these 7 adorable pit bull t-shirts and hoodies! They not only make perfect gift ideas for dog lovers, but they’re a fun way to treat yourself while supporting your favorite breed. Pits need all the positive press they can get, since there are still so many people out there that believe all the myths about them. 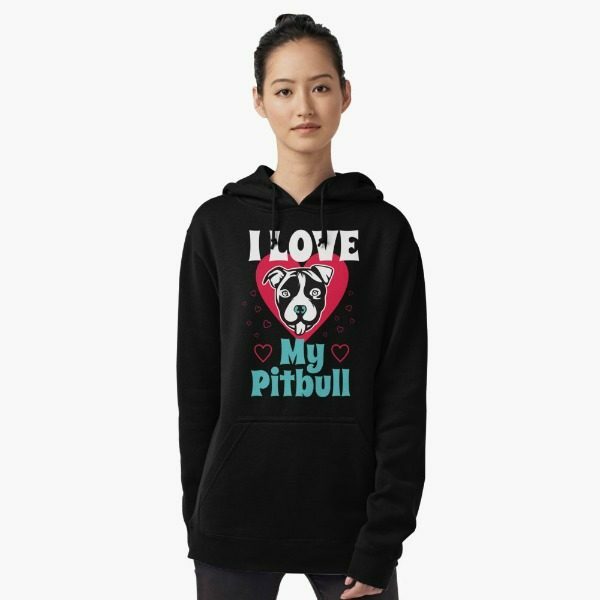 These shirts and hoodies are a wonderful way to tell the world that you are proud to love a pit bull! Most of the designs are available on both Redbubble and Amazon, unless otherwise noted. Even though I’m included a mix of t-shirts and hoodies, all designs are available as both. Over on Redbubble, you’ll also find each design on a myriad of other products, from home decor to device cases and more. I think that covers everything! Now, let’s check out these cute shirts!! 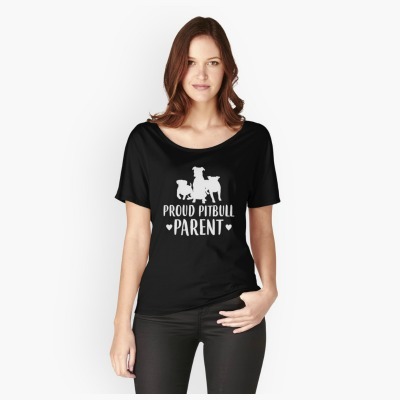 You’re a proud pit parent and you know it, now tell the whole world! One thing I love about this shirt is that it almost invites people to come up and ask you about your pit bulls. It opens up the conversation and gives you a chance to set the record straight. Okay, so this one is a little more risque if you look at it as a pun (if you don’t get it, I’m not telling you)! I, on the other hand, look at it as an invitation to the world to show me all their adorable pit bull pictures! Seriously, I can never get enough! Sometimes, a picture is worth a thousand words! 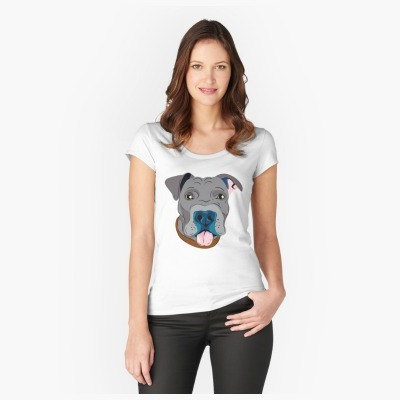 I’d say that this adorable pit bull graphic definitely says it all! It’s the perfect gift idea for blue nose pit parents, don’t you think? I have three favorite pit bull shirts, and this is one of them. The colors, the design, and the message all speak to my absolute love of all things pit. 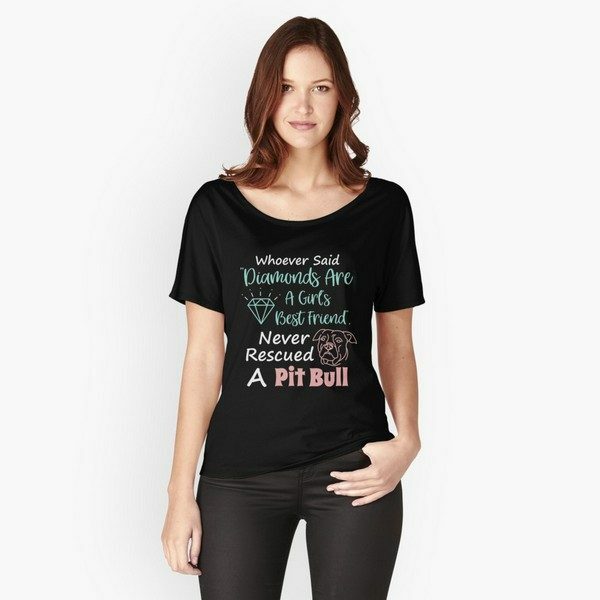 This one is my all-time favorite pit bull shirt! I will gladly take my pit over all the diamonds in the world. My Mocha is a rescued pit mix, and she’s just the sweetest dog you could ever meet. Definitely my best friend! How insanely adorable is that big smiling pit bull face? You’re in love, aren’t you? I know I am! This fun dog graphic drawing is the perfect gift for all dog lovers. Remember how I said I had three favorites? We already saw the first two! The Pocket Pit is the last one. I just think it’s so clever and funny! Plus, admit it, we all could use a little pocket pit bull to brighten our day! On the other hand, if you buy from Amazon, they are all Prime eligible. 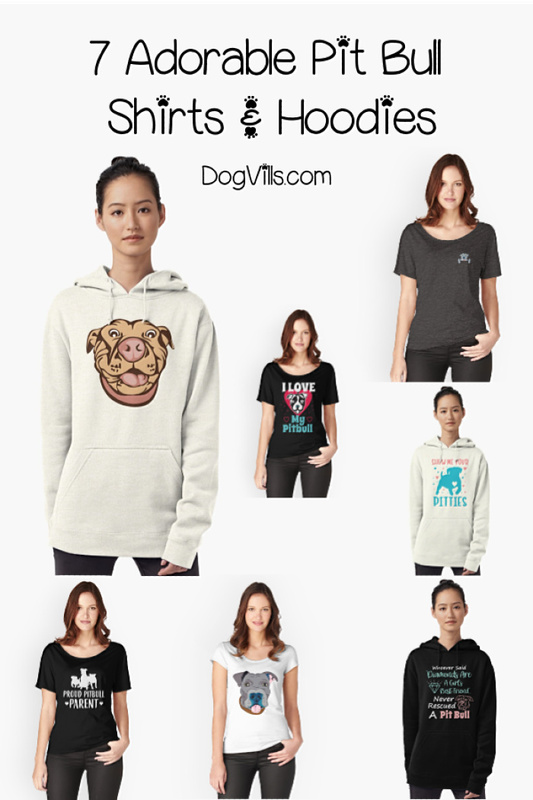 Find all of these designs on the DogVills T-Shirts page on Amazon. 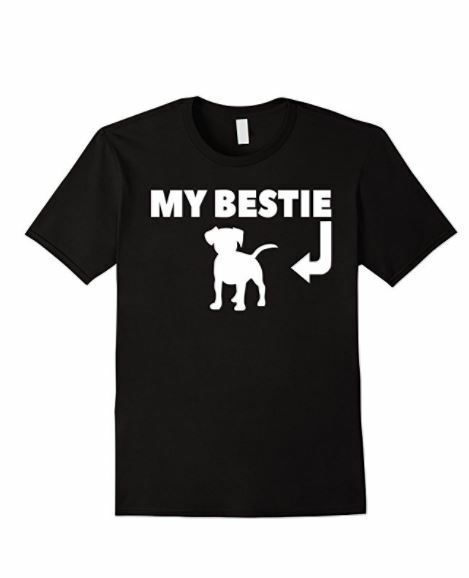 You can also find more great t-shirts our Shop page right here on DogVills. 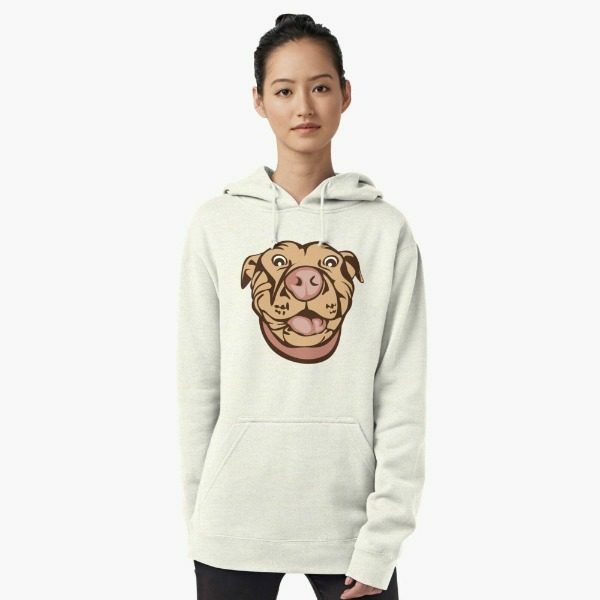 Which of these pit bull t-shirts and hoodies is your favorite? Do you agree with my top 3 picks? Share below!